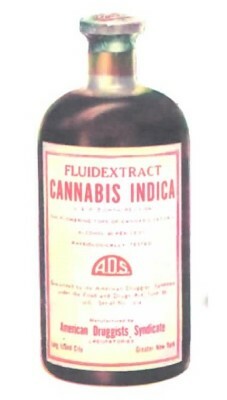 A Photo of "Cannabis Indica". Drops of tincture solution are squeezed out through an eyedropper under your tongue. The major advantage of this sublingual administration method is that the medicine is rapidly absorbed through the body's main blood supply to the tongue, the sublingual artery. This artery arises from the external carotid artery, which in turn is close to the internal carotid artery which allows the medicine to quickly reach the brain. This process of osmosis through the sublingual artery is ideal for patients suffering from pain due to gastrointestinal difficulties such as ulcers, hyperactive gut, coeliac disease and other digestive issues that might make an edible less palatable. Cannabis smoke is in no way conclusively linked to any kind of cancer however sublingual ingestion of cannabis tinctures is of course ideal for anyone who may be concerned about the perceived health risks of inhaling smoke of any kind into one's lungs. Tinctures are also ideal for anyone who may be too sick, too old or too young to properly smoke or even vaporize cannabis. Tinctures are also well regarded by seasoned stoners as an effective recreational high that your can stealthily enjoy in most social situations without drawing the same attention to yourself that the smell of cannabis smoke can and often will.